I do a lot of work as an author, game designer, art director, layout artist, and publisher. So I thought I would on Fridays start posting some of the tools I use. 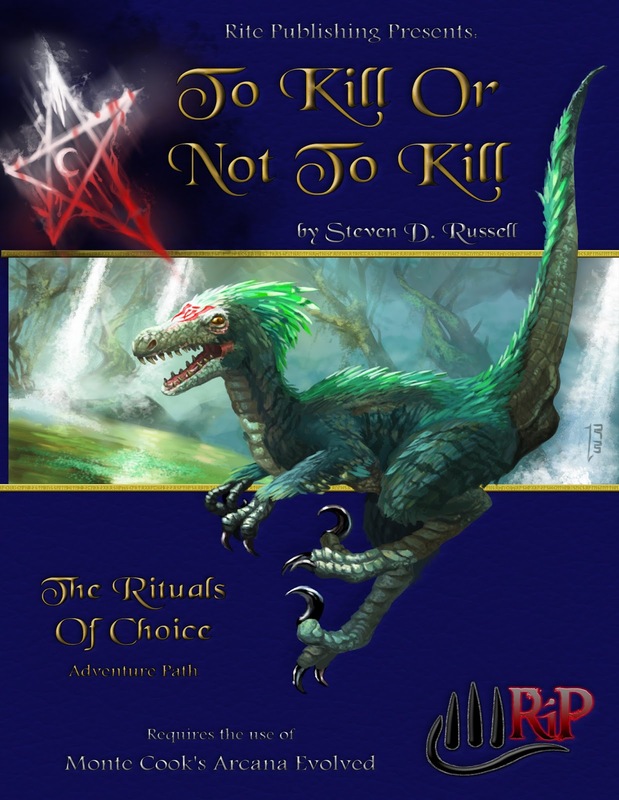 I have an ENnie nomination for my work on To Kill or Not To Kill so I feel I can show a few good tools to help you with adventure design. Therefore, that is what we will start with. Adventure Builder by Wolfgang Baur: This article is my bible when I am thinking about writing a new adventure be it for Pathfinder, Arcana Evolved, Fate, or Diceless while a lot of the article is D&D specific it is really a great review source even after you have written your adventure to see what you have missed. (There are six parts to this and you should read them all. Ray Winniger’s Dungeoncraft Essay’s: Ray’s rules for dungeoncraft still guide everything I write to this day, I love adding secrets to my campaign settings. I have expanded upon them always making them the answers to important questions but everyone should read and/or reread these articles. I have all the dragon magazines in print and pdf but I love this place for collecting them all. Let’s Read Dungeon Magazine from the Beginning: You want to learn how to make great adventures? Well how about learning from other folks mistakes, as well as learning what works. I actually do recommend going through the back issues and reading these. I can say the same about reading the reviews of the more successful parts of the Pathfinder Adventure Paths. You all meet in a Tavern... by David Morgan-Mar. No, you do not meet in a tavern! It’s way too cliché, so look at this list of different options and come up with something different. The Big List of Rpg Plots by S. John Ross. You need an idea for an adventure and you need a twist to make things go in a different direction? It is not that complicated because it Mr. Ross shows you what has gone before.